Located on the ground floor of Sandras Inn Hotel of Dubai, Ponana African Night Club is a distinctive experience when it comes to hang out during night in this metropolis. Simply because Ponana is great venue to enjoy a night out in typical African style, where an authentic African band also showcases its performance. It will be a completely different experience for the people of Dubai, who accustomed of going to usual night venues where Djs are playing load music. Since it is tucked in a hotel, so visitors would not face car parking issue too, as Sandras Inn has a dedicated parking space. Plus those, who do not have car can get this site through metro or bus because local transport stations are not too far either from this nightclub. 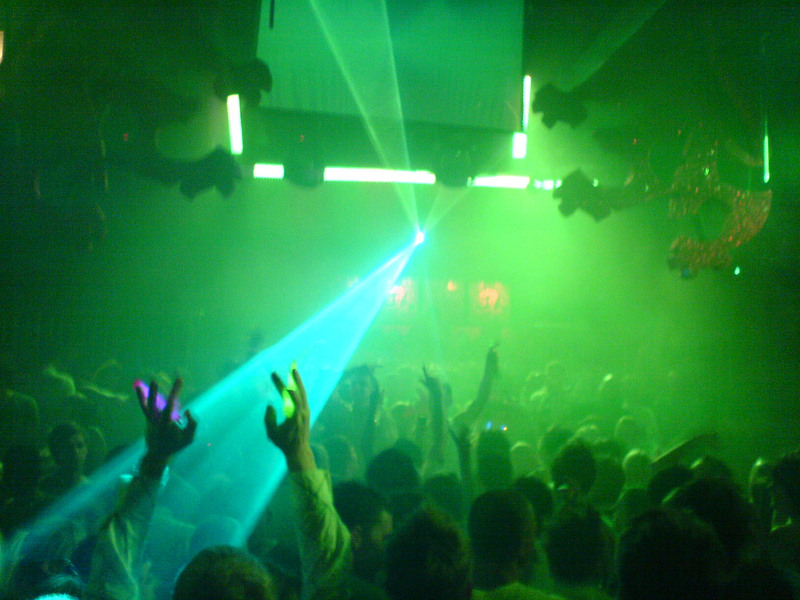 This nightclub is an ideal place for those, who like to experience something cool other than usual or if someone adores African culture because Ponana African Night Club is a name of unique experience, where popular African band showcase their talent their each night. The beats played by this African band will definitely make the guests move. The attentive service of this nightclub will also impress the visitors of this African club. Operational hours of Ponana African Night Club are from 22:00 to 03:00 hours. Sandras inn Hotel Dubai, Baniyas Square (Nasr Square) - Deira - Dubai - United Arab Emirates. 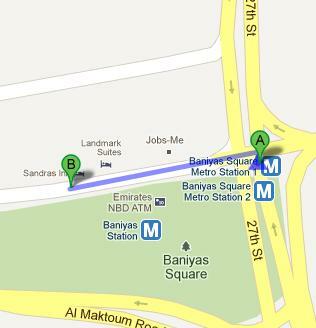 Baniyas Square Metro Station 1 is barely 2 minute walk away from Ponana African Night Club in Sandras Inn Hotel, as gap between these points is approximately 110 meters. However, to get to this nightclub in 2 minutes on foot from Baniyas Square Metro Station 1, metro users need to head north on 27th Street towards Al Maktoum Hospital Road, then take the first left onto Al Maktoum Hospital Road, where destination will be on their left side. Take bus number 17 and arrive at Futtaim Mosque – Dubai bus stop that is 400 meters far from Ponana African Night Club and makes a 5 minutes walking journey. To reach this nightclub from Futtaim Mosque – Dubai bus stop, bus user should head east towards 9 C Street, then turn left onto 9 C Street and later turn right towards 27th Street. After that pedestrian should make a right turn right onto 27th Street before turning slight right in order to spot the destination on the left. Checkout map for directions.